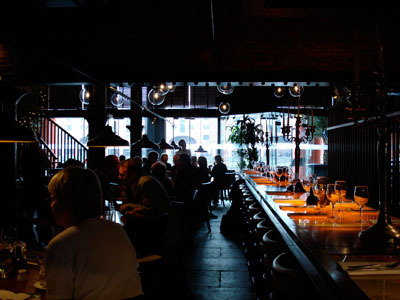 Gusto, formerly Est Est Est is located in the center of Liverpool, on the waterfront in one of the world heritage buildings of Albert dock. 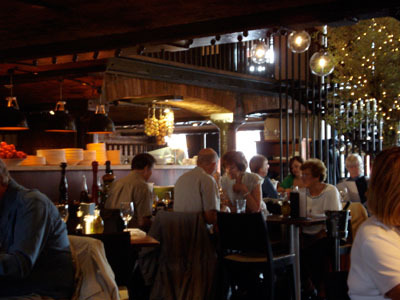 The restaurant has a nice cozy decor an is relatively comfortable. The service was very good. It was relatively fast and our waitress made genuine efforts to please us. I had the suckling pig. The pig, served with roast garlic mash potatoes and apple sauce was perfectly executed. Fully cook while still moist with a crackling skin. 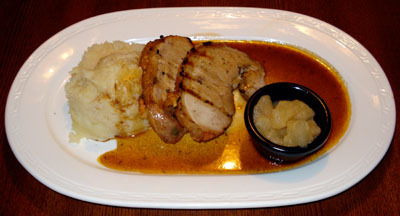 The mash potatoes and the apple sauce were a perfect complement. As a side dish, I had the courgette (zucchini) fries. 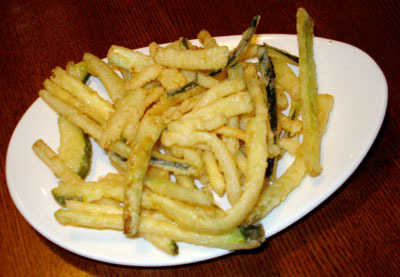 the courgettes, cooked tempura style were very good but a little too greasy to be perfect. Around $40, including drinks (mineral water and coffee) and tip. Considering the restaurant, the food and the current exchange rate (close to 2 dollars for 1 pound at the moment), Gusto is definitely a good value for money. I will certainly come back. Glad to see more reviews, keep em coming! Perhaps i will submit some..